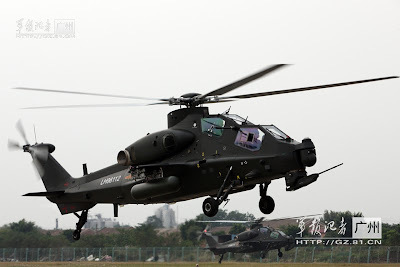 China Defense Blog: Photo of the day: The 7th WZ-10 equipped PLA LH Unit. 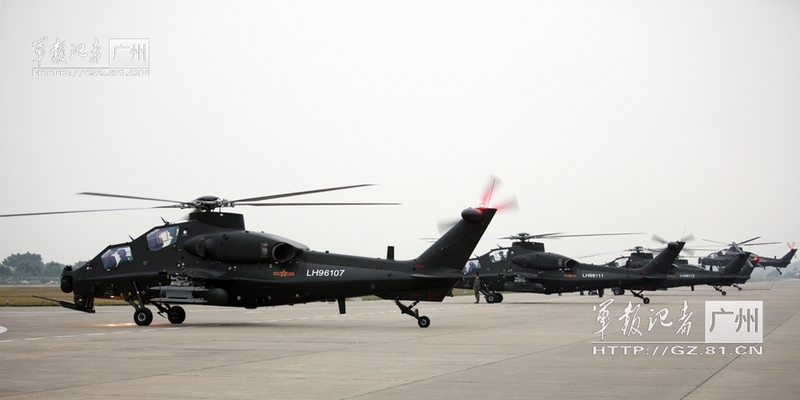 Photo of the day: The 7th WZ-10 equipped PLA LH Unit. 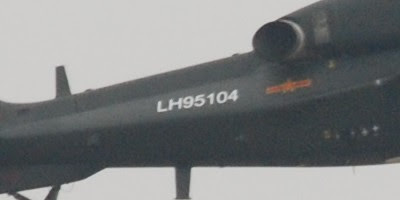 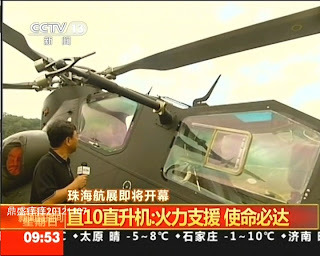 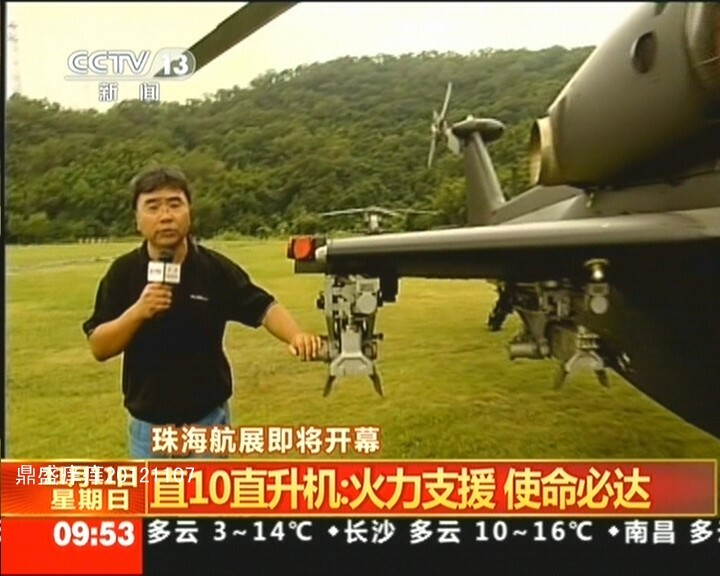 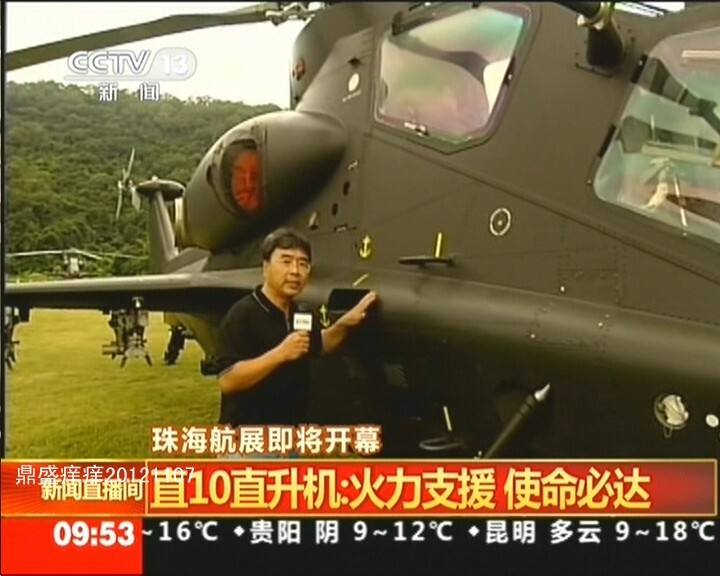 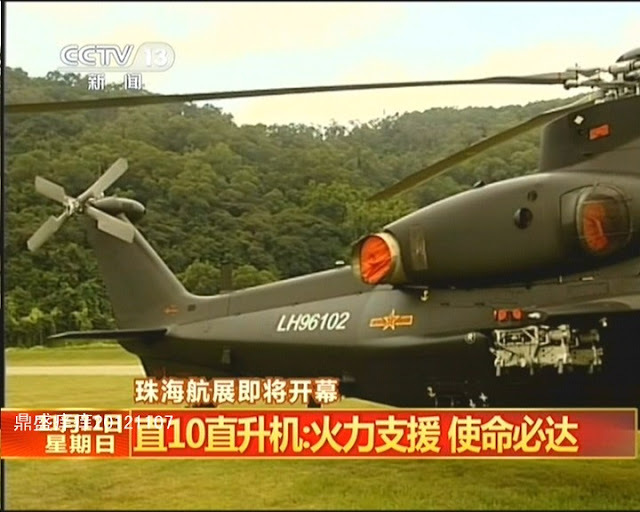 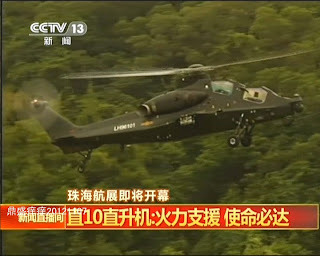 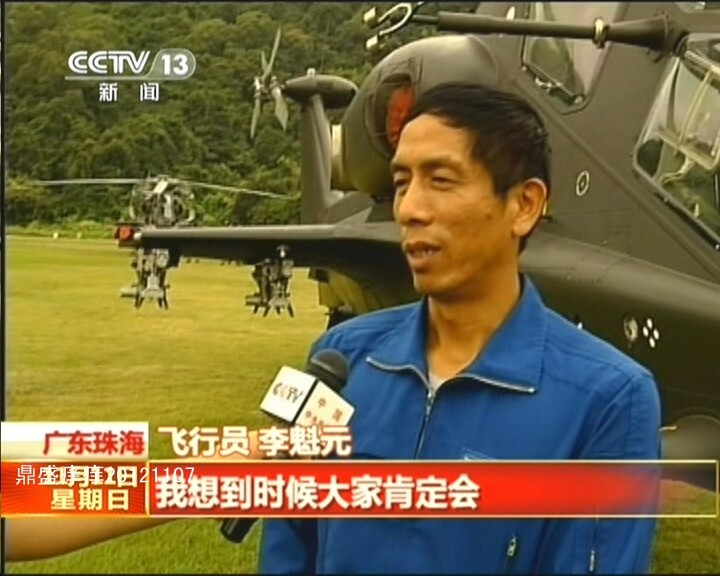 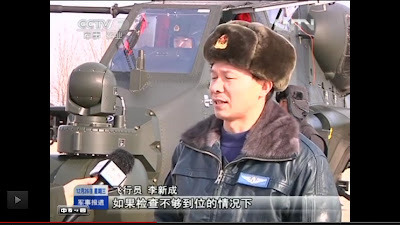 As confirmed by today's PLA Daily, the 10th LH Regiment, Nanjiang MR is the 7th WZ-10 equipped Army aviation unit. 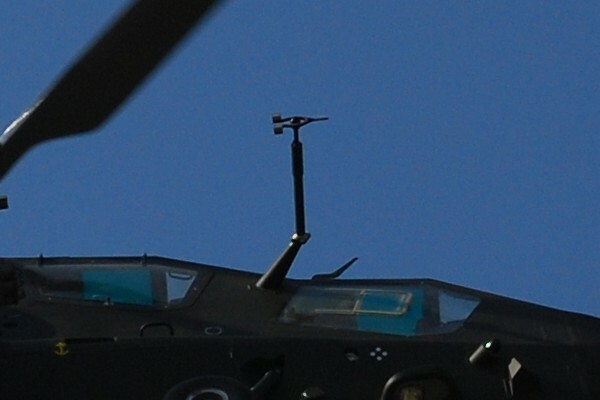 While only 2 birds have been observed from the PR photo below, a full attack squadron is well-expected. 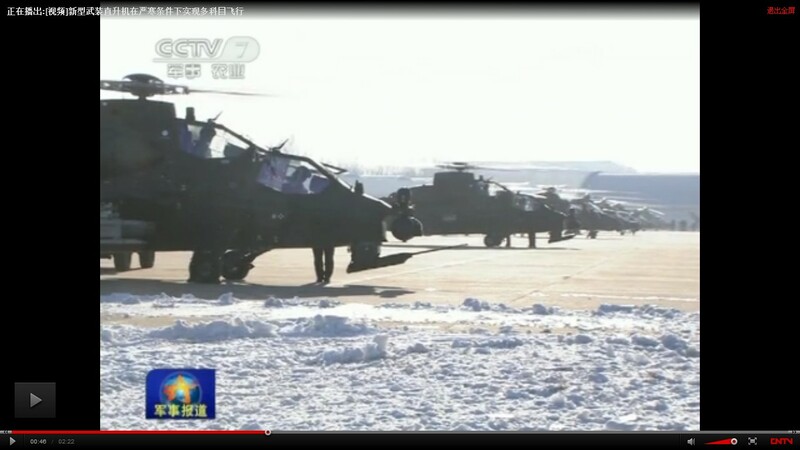 The fourth Z-10 equipped PLA LH Brigade is confirmed by today's (12/26/2012) report. 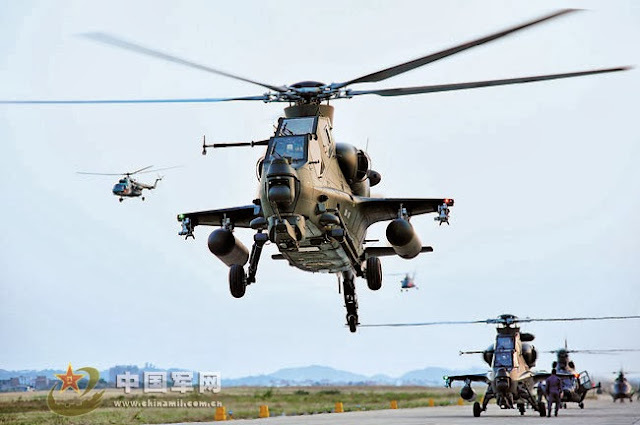 In a rather short period, the PLA now boost 48 known Z-10s in 4 attack squadrons of 12 birds each in four different LH brigades. 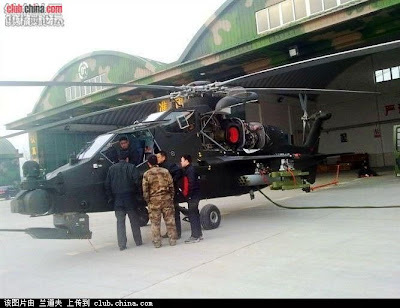 Here are some clear photos of the Z-10 attack squadron, 6th LH Brigade, 42nd Group Army, Guangzhou MR.
Zhuhai Suprise: Z-10 of the 6th LH Brigade. 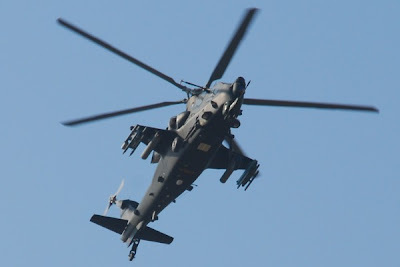 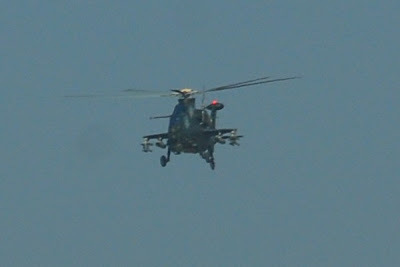 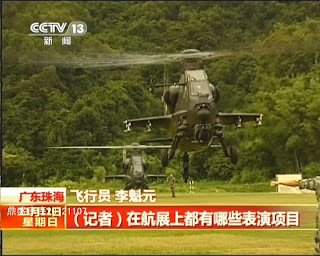 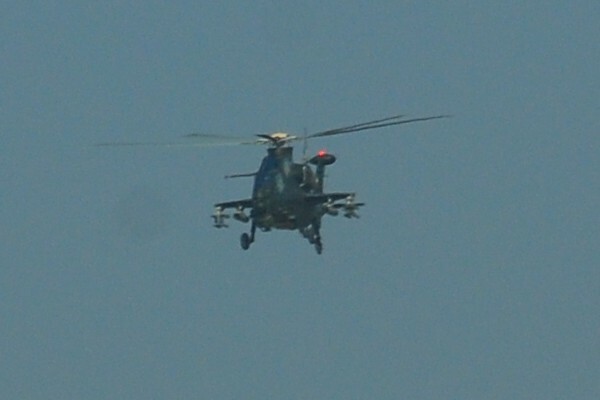 Two Z-10s have just arrived at the 2012 Zhuhui airshow representing the PLA Army Aviation and they are from the 6th LH Brigade (LH96101 and LH96102) of the 42nd Group Army near by. 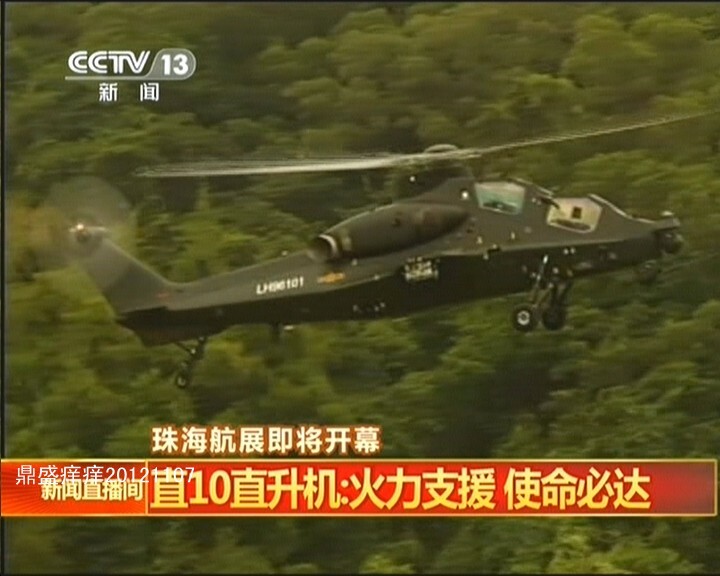 This revelation marks the 6th LH as the third Z-10 equipped LH units in service. 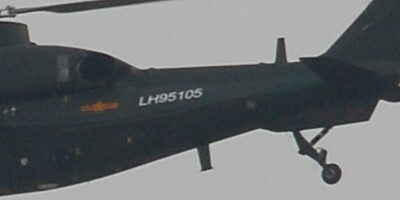 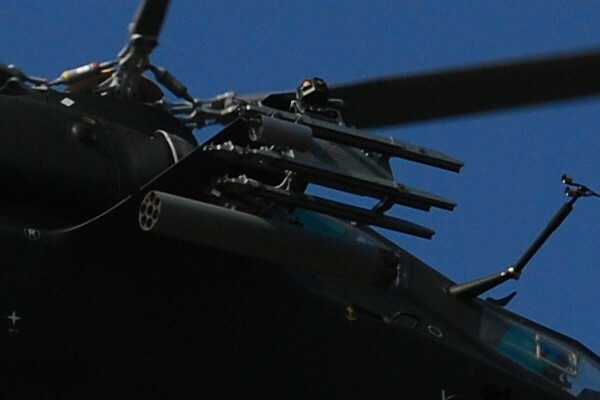 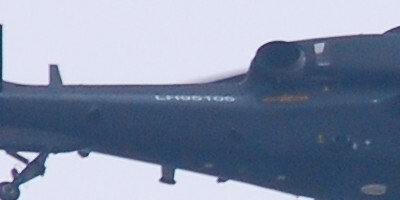 2nd Z-10 equipped Army Aviation Unit. Judging from the recent PLA Daily articles and internet photo "releases", the 8th LH brigade of the 38th Group Army, Beijing MR has become the 2nd LH unit armed with the latest Z-10 attach choppers (6th squadron). 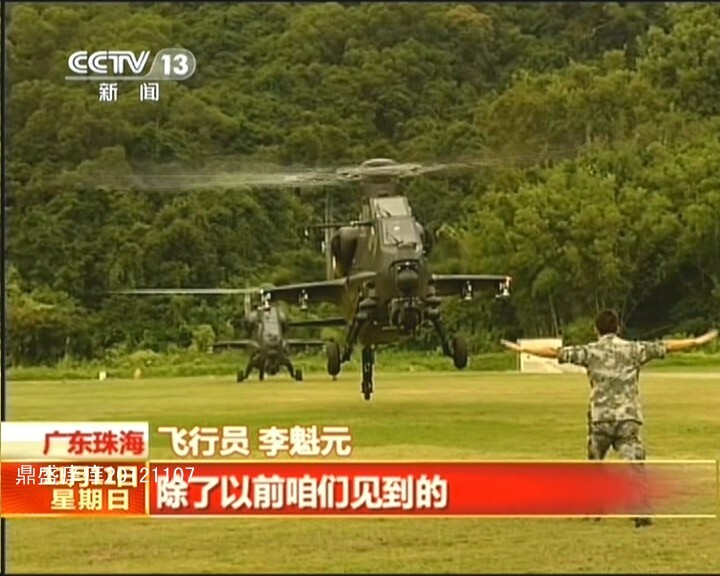 It is interesting to note that the 8th is also home to the Z-19 light attack helicopter (5th squadron). 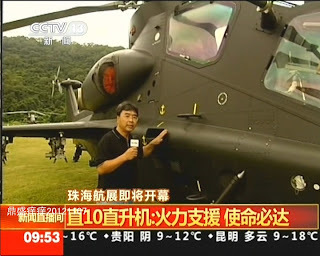 This Z-10 is obviously at Baoding (8 Army Avn Bde), where 12 large hangars (for MI-17) and 9 small hangars (for Z-10), all camouflage and with round roofs, have been built by 2011. They seem to be also constructing 8 large hangars (for Z-8?). There are also round hangars at Sanshui-Daliao (6 Army Avn Bde), but they are not camouflaged and are in two consecutive rows of 10, not separated like those at Baoding. 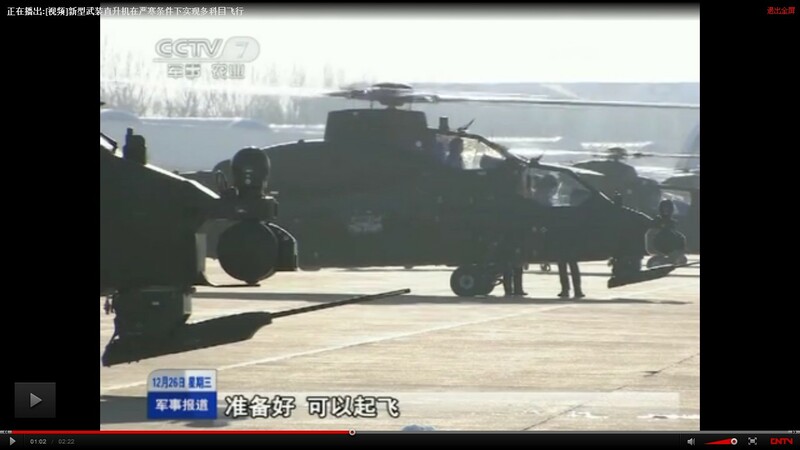 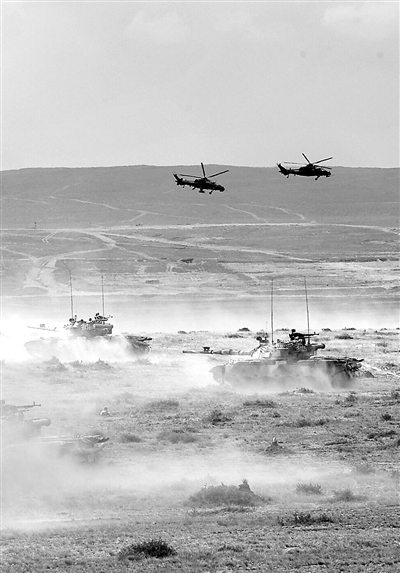 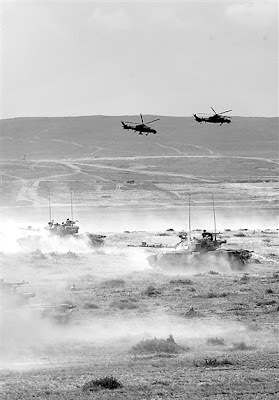 Since Z-8 and Z-10 appear to go together, perhaps we should expect the next Z-10 squadron to be formed in 26 GA 7 Army Avn Regt (Bde?). It seems there are at least 8 of them already in service. 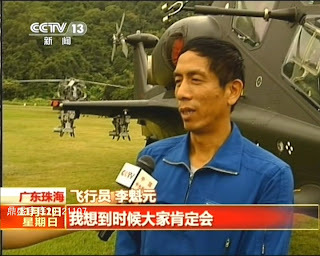 Mission Action 2013B kicks off. 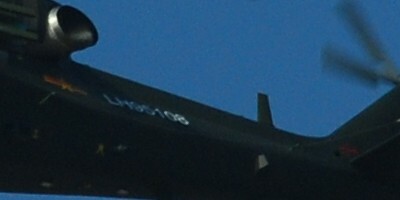 Photos of the day: J-15 number 554. 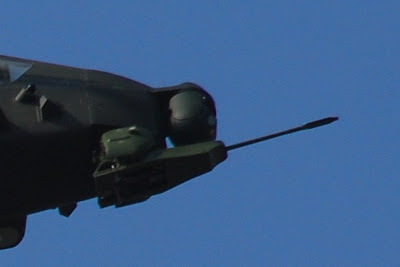 Photo of the day: 24!